Why not pick one (or more) of our other delicious sweet treats to take your party/wedding/event to the next level. Great additions to your sweets table. 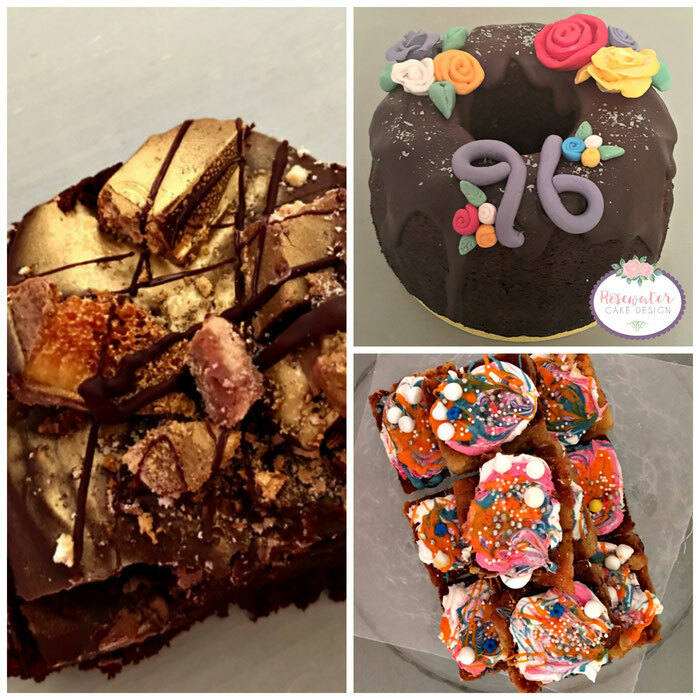 From Triple chocolate bundt cakes, deliciously fudgy chocolate brownies, psychedelic unicorn blondies and sweet caramelised honeycomb (to name a few). Prices from £2.00. Please contact us for an accurate quote. Vegan, wheat-free and dairy-free options are available (gallery).